The American Metalcraft RBHB975 rectangular basket measures 9 inches long by 7 inches wide by 5 inches tall, which is perfect for organizing condiments, napkins, and salt and pepper shakers on tables. It can also be used to provide a unique presentation for foods, including bread, appetizers, and sides. 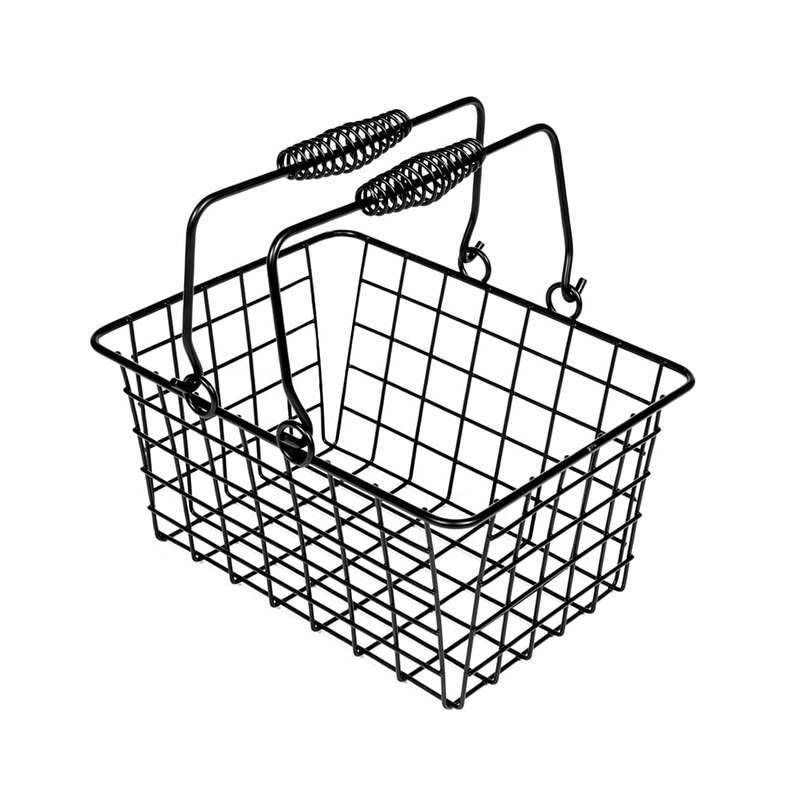 The basket is made of durable metal wire that is shaped in a grid pattern that provides rigidity to the structure. It has two joined handles that stand above it that add visual interest and make it easy to lift and carry. 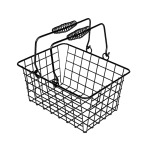 With its black finish, the American Metalcraft RBHB975 rectangular basket works well in many palettes. "Absolutely love these baskets. Very sturdy & a well done wire basket. Worked well for the project I did & will be ordering more of these." "Worked great for the craft project I was working on."